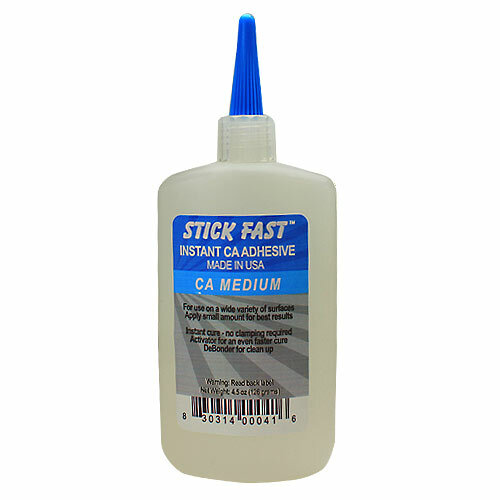 Turning Adhesives - Stick Fast Medium CA Glue - 4.5 oz. Thin syrupy consistency. A good general purpose adhesive. Allows a longer period for assembly and alignment of parts. Cures in 8-15 seconds. Will penetrate porous wood. Also good for hardening, sealing, and finishing surfaces.